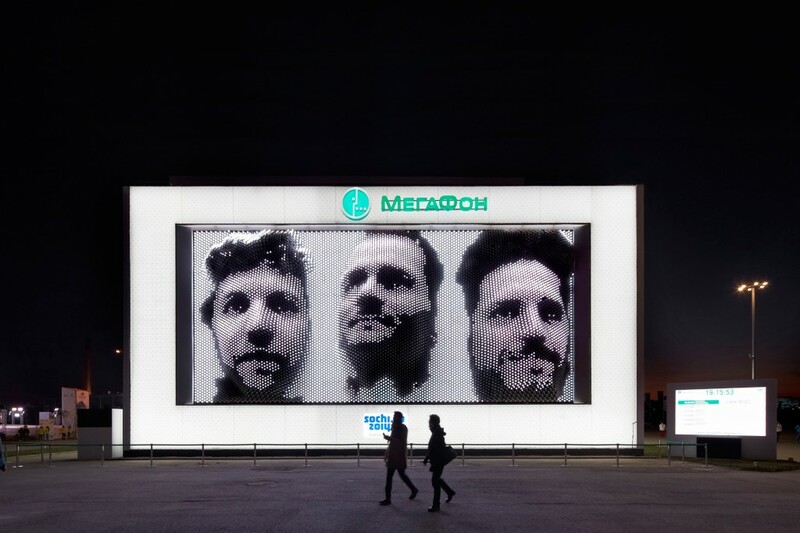 MegaFaces is a giant mechanical sculpture that creates 3D representations of faces i.e. 3D selfies. The installation was shown during the Socchi winter games and it was produced by a local mobile company and the london based architect Asif Khan. 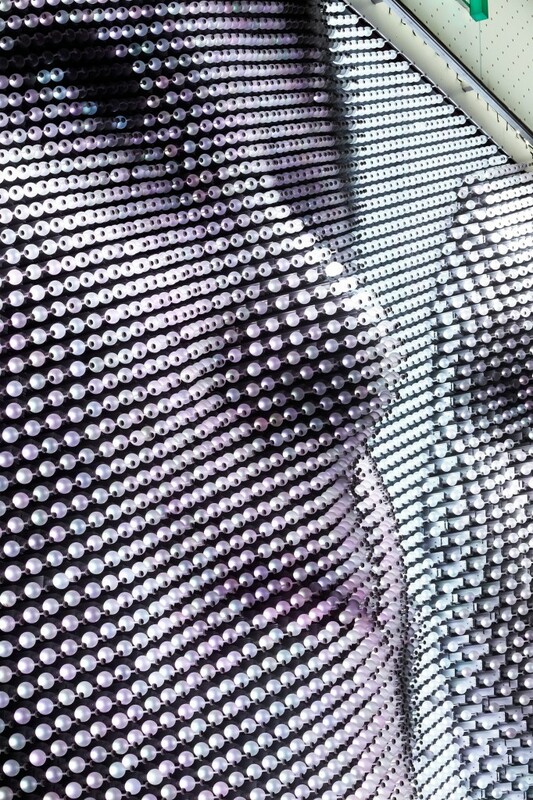 The giant screen comprised more than 10,000 actuators that could simulate the shapes of a 3D scanned face. To create the 3D models photo boots were placed in different stores across Russia. Each person was photographed from 5 different angles and then processed to create a 3D model. The computations to generate a 3D-selfie took about one minute. 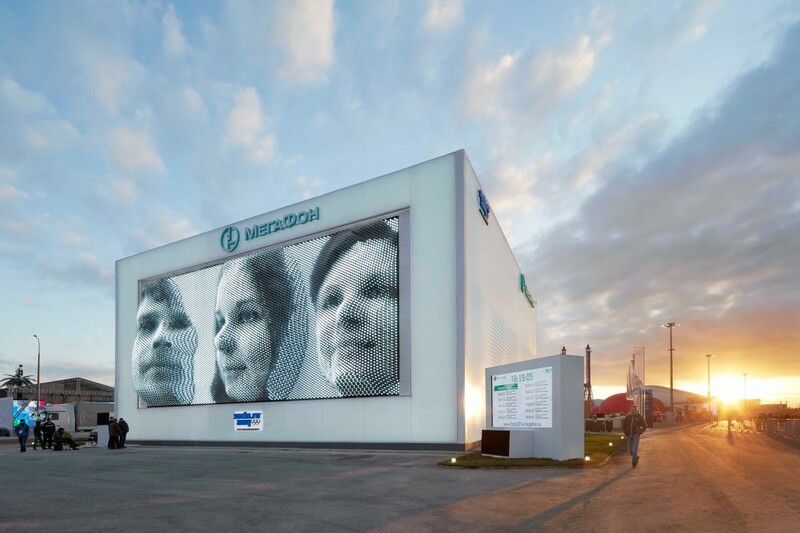 Up to three faces can be shown at the same time by MegaFaces. The faces displayed changed constantly during the whole day and in the late evening they were also illuminated. The visitors were told at what time should their portrait be displayed. Additionally a web-cam was also set in place so that the visitors could also look at their face online or download a video of their appearance. The concept of the project emphasizes the key role of faces in the communication of emotions. It stresses that even in the digital age, we still try to express our feelings through face-like representations as emoticons, selfies or even 3D selfies.